The aim of these reviews is to help you pick the best guitar tuner for you. Guitar tuners have been the guitarists’ best friend ever since they were invented. A tuner is a device that compares the sound of a string with a reference pitch already stored in the tuner. These devices help musicians set the pitch and improve their tunes, in a timely manner. 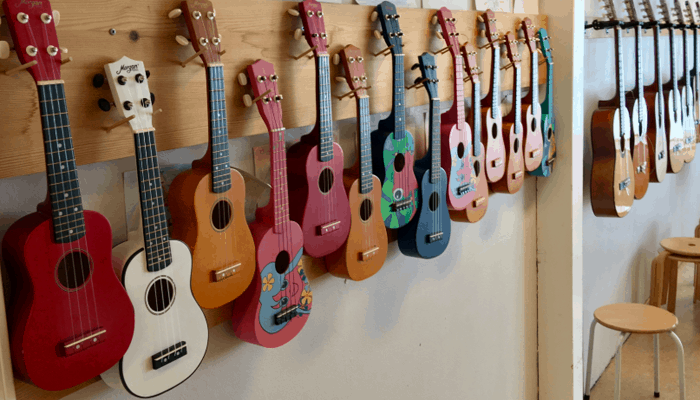 Tuners are not just used with guitars, they can also be used with a lot of other instruments like violin, ukulele, and banjo. Thinking of starting violin? See our guide on the top beginner violins. Do you like the reviews? Here is more! What Is A Guitar Tuner? 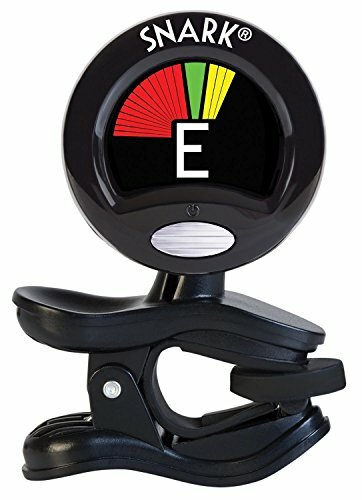 How to Choose a Tuner? How do you handle a tuner? Now, there are several kinds of tuners and myriads of brands producing them. The good thing about excessive choices is that you have cheaper options as well as pricier options. However, it can be confusing - especially for those just starting out. Considering how frequently you will be using the tuner, it makes sense to invest in a simple, good quality, functioning product. Here are the 10 top tuners hand selected by the team here at Music Critic. This tuner is great for almost everything including electronic guitars as it is advanced, precise and convenient. The clip-on tuner attaches to the instrument firmly, even the stand as well. It is not your simple run of the mill tuner, it has got a tap tempo metronome, transpose, and sound calibration as well. Its performance is highly correct thanks to the quality vibration sensor and microphone built into it. Why We Liked It - With so many benefits, this one is a definite favorite for many of us. 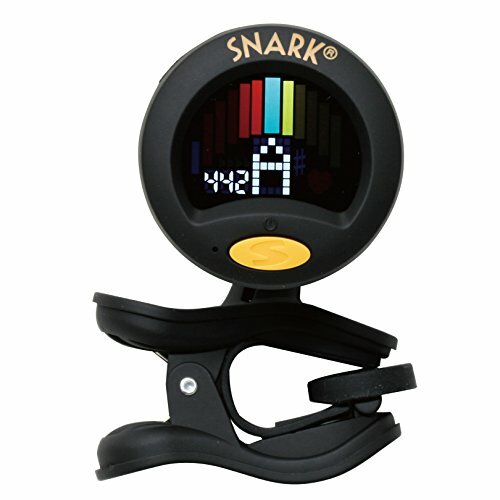 Tuning should be no rocket science and that is exactly what Snark did with this tuner. It used the right technology to make a tuner which is simple to operate and works perfectly with almost any brand like Korg, Boss etc. Number 2 on our reviews is UberTuner, another really cool tuner to use with your Korg, Boss or others including violin and electric ukulele. It uses the Piezo vibration sensor which produces the most accurate sound results for giving you the highest possible tuning. It is also simple to understand as the display with vibrant colors allows you to see how you are doing from different angles. There are three points of adjustments which should give you ample choices for adjusting the screen. This one is especially high quality considering it works well even in a noisy venue. It detects the vibration from your instrument solely and discards other noises. This makes it a lot more reliable especially for professional musicians doing gigs all the time. The sound calibration range is 430-450 Hz which is ample enough for most instruments. You can easily attach to the front or back of your guitar’s headstock. The battery life is great too as you buy it once and can use it endlessly without worrying about power ceasing. Why We Liked It - It is a product that is designed to last longer and work well every time it is used. Also, it is incredibly affordable despite being so high quality. KLIQ UberTuner is liked by music professionals for its unmatched features and ease. The Snark SN1 is designed to work with any kind of guitar seamlessly (acoustic or electronic). Just like the SN2, it clips on to your electronic guitar without any hassle. It is easy to carry and store in its pouch when not in use. The frequency range is specially tailored for electronic guitars and bass guitars. It has the tap tempo metronome and the transpose feature. This allows you to tune with the capo on. The clip-on is very strong and is great for on-stage performances too where you might be mobile. It uses bright colors to show you the pitches and distinguish low from high. Also, it can be rotated in a complete 360-degree circle making it simple to tune the instrument. Here is a bit more about the product that you won't find in other reviews. Why We Liked It - If you love your Korg or Boss acoustic/electronic guitar you will love this tuner too because it will work with it seamlessly. You can use it for a very long period of time as it is designed to be durable. Also, it is super cheap which makes it affordable for everyone. 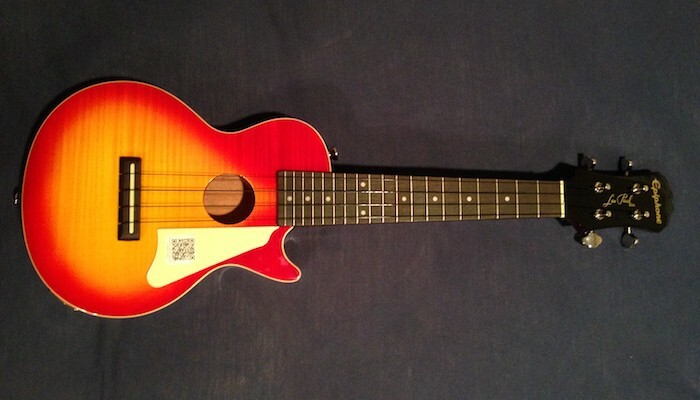 This tool from Mugig is a one for all type of tuner that has five modes: guitar, bass, violin, and ukulele (click here for the review), and chromatic. It is great for all these musical tools and you can easily switch from one mode to another. The sound calibration is 430-450 Hz with a vibration sensor that is highly sensitive and ignores all unnecessary sounds from the surroundings. This compact item is extremely light and turns a full 360 degrees. It is a product that will stay with you everywhere you go and give you the perfect tuning you need for your acoustic or any other guitar. The top thing about this is that it uses power smartly thanks to its Auto power off function. If there is no playing for five minutes it switches off automatically. How cool is that? You will not have to worry about switching it off. It is definitely a tiny tuner with big ambitions and should be the perfect match for any guitarist. All these features guarantee great music experience. Why We Liked It - It is a high-quality product made from quality materials like the environmently-friendly ABS plastic. It uses a one coin battery efficiently and does the tuning job well for a variety of instruments. If you are looking for a complete tuning solution for your Korg, Boss or any other guitar, this is the product you need. Snark SN 8 is yet another product suitable for any instrument including acoustic guitars and bass. It has an extra tight tuning is that is something that you want. The bright display is simple to read and comprehend. The display also rotates a full 360 degrees making it even easier to use. This one has tap tempo metronome like other SN series from Snark. Why We Liked It - If you are looking for simple tuners which give good tuning, the SN 8 is the thing for you. With the very minimalistic approach, Snark has created a product that beginners and pros can use. It is both good at what it does and convenient to use so makes your jamming sessions hassle free. 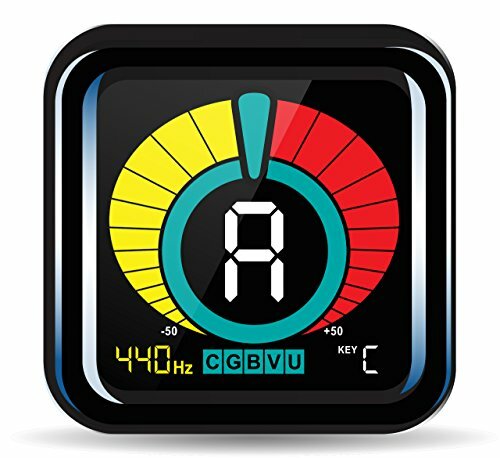 If you have a bass guitar then this is the tuner you need as its frequency range is tailored for bass and electric violins too. Like other SN series, this one too is very easy to use and understand. The colorful display makes it easy to tune the guitar as you like. The rotatable screen goes around a full 360 degrees. 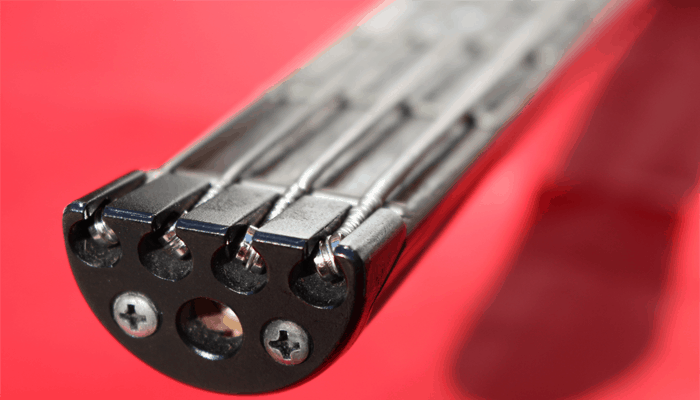 The strong clip attaches to either side of the headstock easily. SN 5 is a pretty basic product that does the job well. It is obviously much more affordable than pedal tuners. It will work with guitars as well as violins if you happen to play that too. 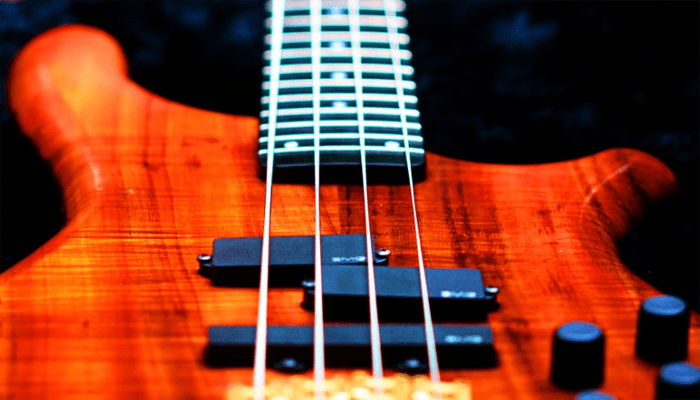 It is a simple device that can help you make the best of your guitar or bass. 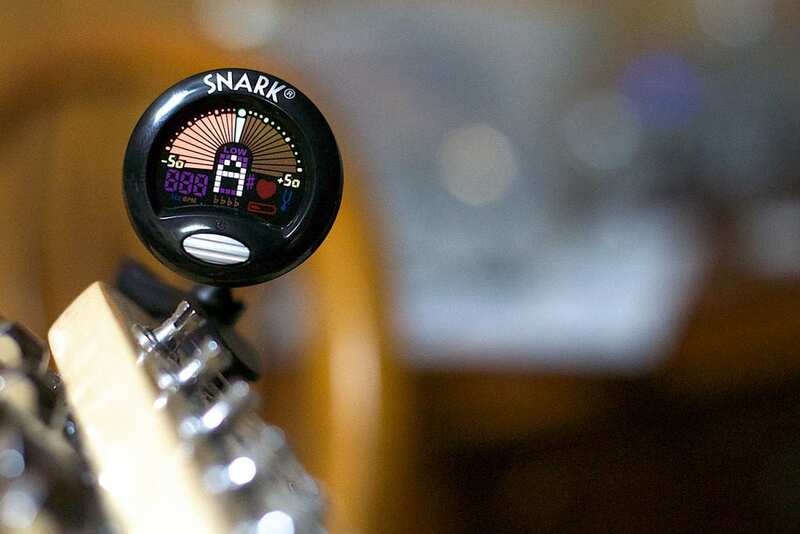 Why We Liked It - All of Snark tuners are very affordable and made from quality materials so SN 5 is no exception. 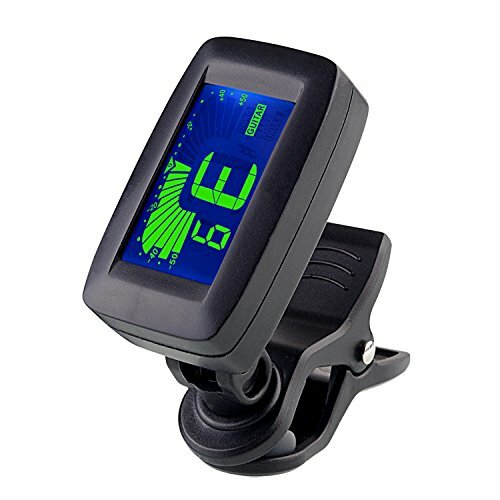 Anyone from those who are starting out playing bass or violin to those who have been playing for years will find this tuner as a great companion. If you are looking for something strong and durable, look no further as this product has you covered. It is great for both newbies and expert guitarists who play all the time. This one too rotates to a full 360 degrees which make it very easy to use. You can use it with the capo too. It has a clean design with the LCD having three bright colors that make it very legible. It comes with a manual too that makes things further easy. If you are a beginner then this is the good thing for you as you will get precise tuning and you will find it relatively easy to use. Why We Liked It - For those just starting out playing electronic guitars, bass or violins, it provides a good solution. These things with extra features would be difficult or intimidating for newbies to understand so this one is the top product. 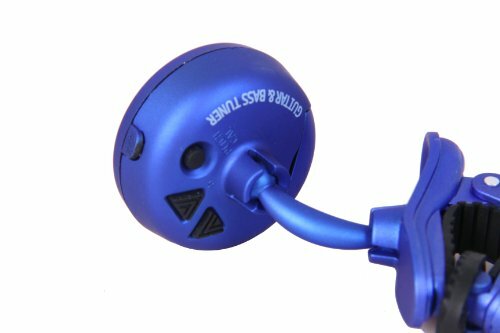 If you are looking for reviews on rechargeable tuners then this one is must read. 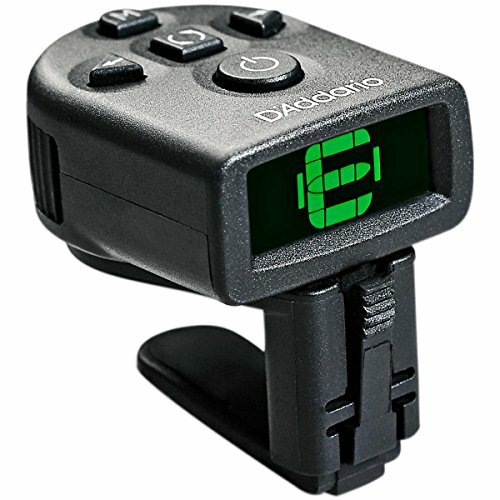 It has an inexpensive rechargeable battery that is easy to charge with a USB cable which comes with this tuner. On a full charge, you get a full 5 hours of operation which is good enough for the whole day even for the busiest guitarists playing gigs every week. It has a dual 360-degree rotation so you can fix it at any angle you want. As for the tuning itself, it is quite accurate and fast at it. The maker guarantees that and reviews from customers confirm that. The display is very bright and legible so no matter where you are and what the lighting conditions are, your guitar will be tuned perfectly. Not only guitar you can use it with many other musical tools. + great tuning for Korg, Boss, and almost any guitar brand. Why We Liked It - This is definitely one of the most sought out tuners on account of its simple and useful features. The recharging makes your life easy and gives you ample play time. And it is easy to fix to the headstock of your guitar where it stays put firmly. This stylish design of tuners is made for those who want everything they can get in one product. It has a bright display and rotates to 360 degrees. Its vibrations sensor is very sensitive and precise which is why it does a good tuning job. With three years of guarantee from the maker, you are good to play for three years. If anything goes wrong you can always replace it but in most likelihood, nothing will go wrong. All the buttons are present on the screen and the battery lasts long too. The tuning range is quite wide from E0 (41.20 Hz) to B7 (3951 Hz). There is a manual to include to help rookies understand how it works and how to use it to improve their tuning skills. Why We Liked It - Those who care about the looks of everything they buy will love this little tuner gear because it is very stylish. It does what it is supposed to do and looks great with any Korg guitar, violin, bass or even banjo for that matter. For those looking for a rather simple gear that is very accurate, the Nordic Essentials is an essential choice! It is very precise and can work just fine with a lot of background noise. With 360-degree multi dimension rotation, you can easily set the screen to the position where you can clearly see it. It has silicon pads too for providing protection for your instrument. 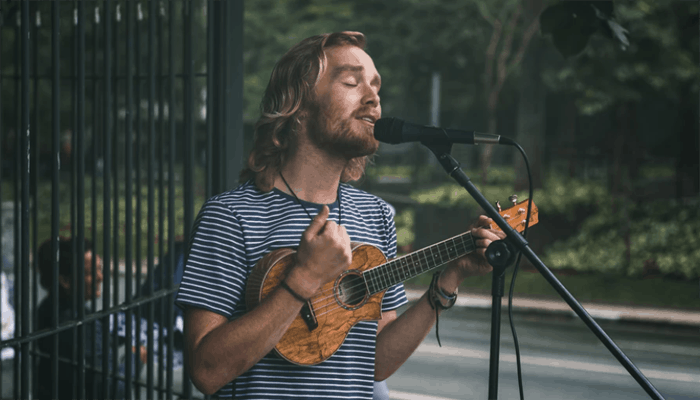 An incredibly light and highly portable tuner, it can be a great addition to your acoustic-electric guitar (click here for a full guide), violin, ukulele or any other instrument. You can easily put it in your gig bag as it is quite small and inconspicuous too to some extent. It costs a little bit more than many others on this list despite being so basic but that is because it is very accurate with its tuning. If you just care about simply tuning your guitar, go for this any day. Why We Liked It - It is a must have for anyone looking for excellent tuning and improving their guitarist's skills. It can help you understand and identify the areas you need to work on which makes it better for beginners too. 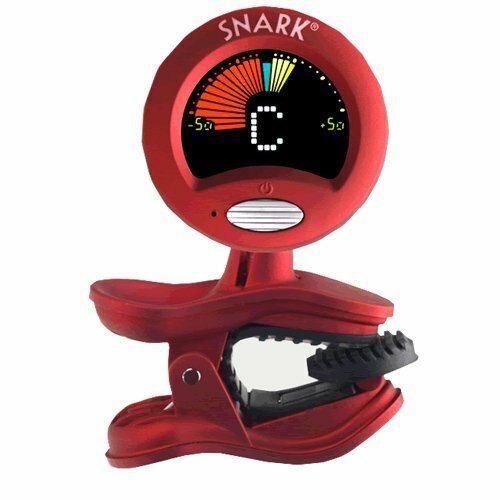 The Snark SN-2 is our top pick for the best guitar tuners simply for its accuracy and usefulness. 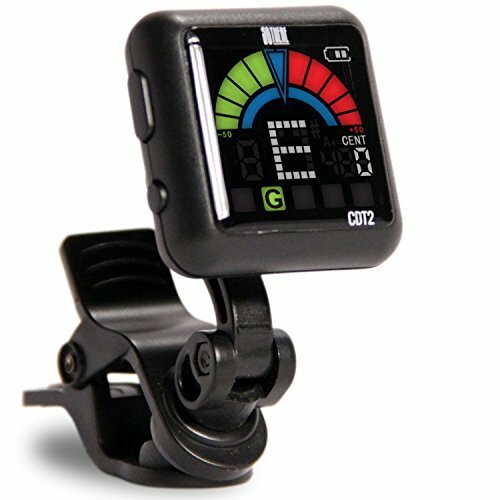 This tuner is incredibly easy to use as the screen displays very vibrant colors that help you tune the guitar. You can rotate the tuner to all 360 degrees giving you all the convenience in the world whether you are in the studio or on the stage. This tuner particularly goes well with Korg instruments. It is also our top pick for it can be used with many other strings, musical tools. For such a reasonable price, you are basically getting a tuner for all your string instruments. Then you also have tempo metronome and transpose. It can be clipped to the headstock where it stays put firmly. 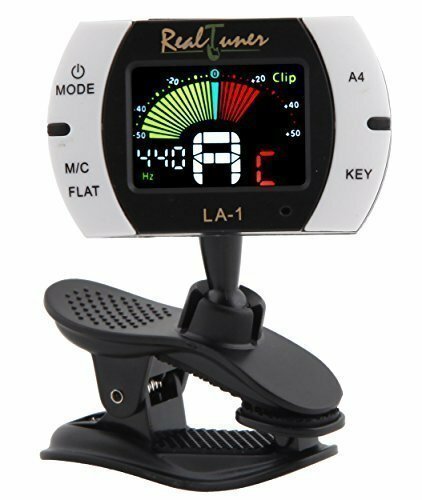 This tuner is great for beginners and professionals alike for its many pros, especially the price. Those looking for the absolute highest in terms of quality should go for the KLIQ Uber Tuner. When we talk about tuners, by quality we mean the accuracy of the tuning. This one is highly accurate and chromatic therefore good for most string instruments. You have three points of adjustments to see the screen. 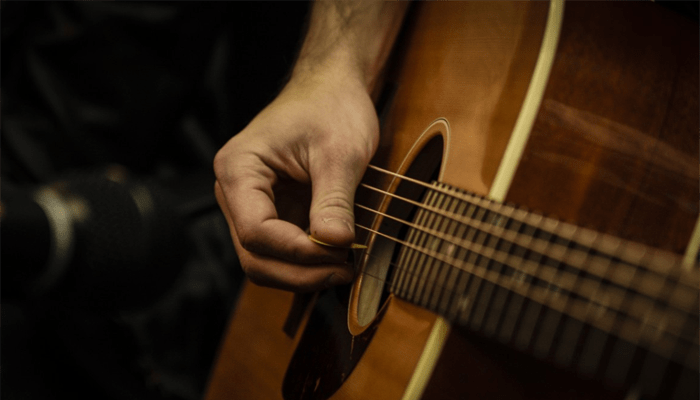 A tuner is such a central part of the guitar playing routine, one should invest in a tuner that provides excellent results and can be used for a long time. This clip-on product is amazing even in the noisiest of the venues. Clip-on ones were created in the first place to deal with the noise drawback in the traditional handheld ones. With a high-quality product such as this, you can expect the most accurate results even with background noise. The battery has a generous life too so you buy it once and you are good for years. 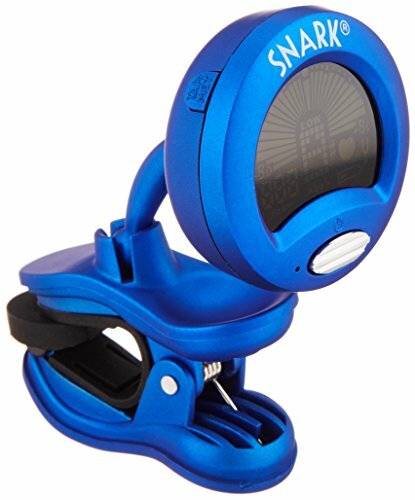 Those looking for a cheap but highly accurate clip-on tuner should try the Snark SN1. It is quite similar to our top pick the SN 2. This is especially great with bass guitars so if you happen to own a bass this is exactly what you require. The display is bright and legible with 360-degree rotation making it highly user-friendly. Just like the SN 2, the SN1 has a strong clip on grip to your headstock. The vibrations sensor inside is highly accurate and works even in noise. Beginners will find it simple to learn to tune their guitar with this tuner. For all these qualities, Snark’s SN1 qualifies as a great value for money. The price tag that it has compared with the functions is simply remarkable. The tuner may just be the thing you need if you think your guitar and other gears sounds a bit off. When you are learning to play guitar often the sound is bad because the guitar is out of tune. 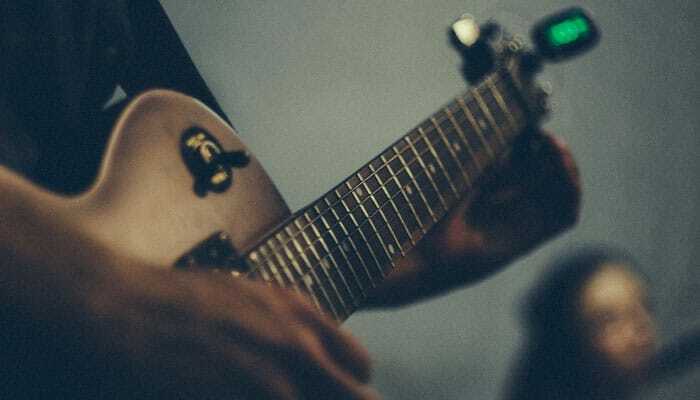 Tuning can make a big difference to the sound of your guitar regardless of your playing style. They achieve tuning in different ways and one type may be more suitable for you than others. 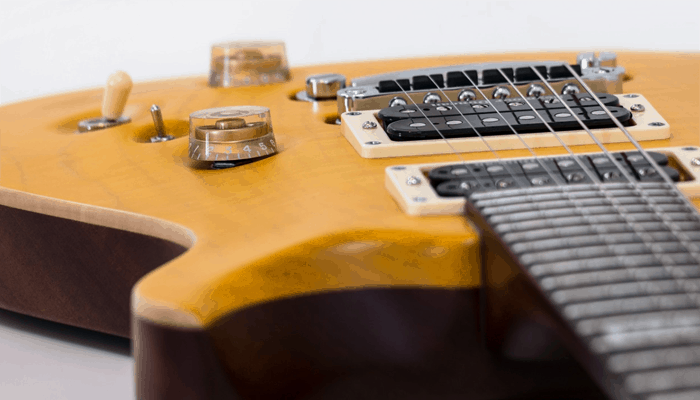 In order to get the most suitable tuners for your guitars and gear, you should know what the different types out there are and what to look for in them. This buyer’s guide coupled with the reviews will help you understand the ins and outs of tuners. 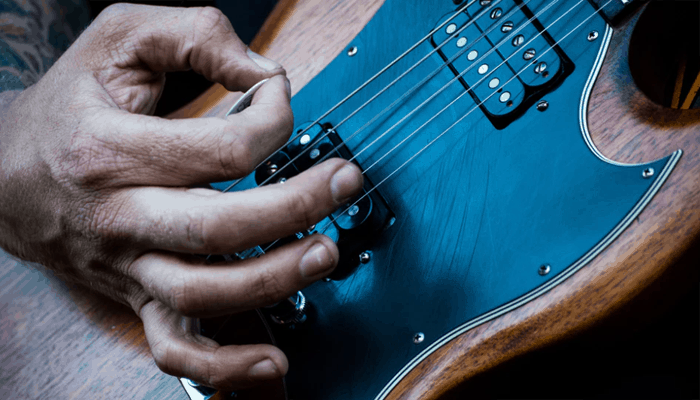 Some people still prefer tuning their instrument using their ears but in the real world with real risks, it is better to have a reliable and instant tuner gear with you. Since the '70's technology has made it easy to match sound using microprocessors. Still, there are several categories of these you should know about. These became very popular in the late 70s after the release of Korg W10. These small handheld tuners were quite accurate and simple making them instantly popular among guitarists. These nearly became the standard for both acoustic and electric guitars. Today too these are quite common due to their compact size and portability. The only drawback is that handheld ones are not very effective in noisy venues. These are the most commonly used tuners and certainly the most effective and convenient in that regard. These are small devices with a clip and a LED/LCD screen. The clip attaches to the headstock where it records the sound using vibration sensors and microphone. They are great even with background noises and produce very accurate results. Pedals are not just used for effects they are also used for tuning too. The main advantage with pedals is that when you are on stage you can easily tune your instrument without having to plug into a separate channel. Pedals do not have any extra features and are purely designed for tuning which is why they are good for situations where you need instant tunings. Polyphonic tuners are essentially pedal tuners but they allow you to tune all six strings in one play (and thus the name, polytune). These are rather new and carries a higher price too but they are quickly becoming popular. The Polytune from TC Electronic was the first polyphonic tuner and it proved pretty time efficient. 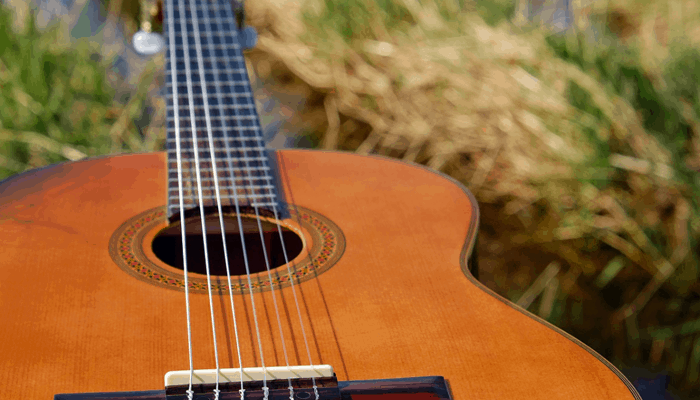 The Polytune is perfectly suited for professional guitarists who have complex playing styles. Polytune was indeed a great hit but this year TC electronic has come up with something bigger - it is the Polytune 2. It has all the features of the original Polytune plus various other modern features. If you're professional guitarists with complex in-stage needs, polytune 2 is an upgrade you must have. This is the 21st century and that means software can do pretty much anything so you also have smartphone apps that are tuners apart from actual tuners discussed above. That said technology, however smart it is, may not be as good as the actual hardware. These are fun and simple but do not expect a lot from them in terms of quality and accuracy. When looking for tuners you will read the word chromatic a lot. Let us start with a non-chromatic one which simply is designed to tune guitars solely via conventional EADGBE tuning. This means that the tuner tunes each string and tells you how sharp or flat it is based on the corresponding note. However, chromatic tuners are a tad bit different as they tune relative to the nearest semi-note. In simpler words, chromatic tuners can be used with other musical tools as well as other guitar tunings. If you are only going to be tuning a guitar than a non-chromatic tuner will work for you. However, you get a lot more flexibility with a chromatic tuner. The battery may not seem like an important consideration when buying a tuner but it should be. Most clip-on tuners that are not compact is powered by a battery. And you should know about the life of the battery. Some of them have rechargeable batteries too which can be convenient. This is mostly relevant to clip on tuners as pedal tuners do not necessarily have a battery. You can hook them up to the pedal power supply. One thing to check when looking for tuners is the accuracy. It is measured in cents and one tuner may be more accurate than others. The accuracy measure is usually given like this +/-0.1 cents. As a general rule, the lower the unit the more accurate the tuner is. Some of them may allow you to adjust the brightness which can be super helpful when the lighting is too bright or too dim. The type of display has been the same for years but the size and brightness do vary. Those who do gigs and are on stage a lot should be cautious about the display. On any good quality tuner, you should be able to read the screen easily. Tuners are very cheap these days and you can get the highest quality tuner in under a price $50. Clip-on tuners are the most affordable while pedals can be higher in price. But with price, pedal guarantees extreme ease of use. So, if you have the bucks, pedal can make your music experience better for sure. However, the most costly of these are polyphonic ones. They can cost hundreds of dollars in price especially if it is a known brand name like Korg. There quite a few brands that are known for their chromatic tuners. Seasoned guitarists only prefer the ones that are reliable and flexible. These brands include Snark, KLIQ, Korg, and Mugig. There are many other companies especially within Asia that are producing a decent quality of them. If you do not have a personal preference, you can easily find a cheap but quality tuner from these manufacturers. A guitar tuner is a device that helps tune the pitch of the strings on your guitar. It basically compares the pitch of the note with a pitch that is already stored as a reference and lets you know if it was high, low or perfectly tuned. The actual technical process that goes inside is quite complex though. There are several different categories of tuners but they all are dedicated to tuning the guitar. Guitar tuners that are chromatic work with other string, musical tools as well like the violin. Some tuners have added utilities in addition to tuning. For instance, polyphonic tuners process all strings at once. The different types of them include handheld, clip on, pedal, and virtual tuners. They have been used by guitarists since the 70s when technology made it possible to detect the pitch of the string electronically. The notes are stored inside the tuner and the pitch is displayed on a screen which usually has bright colors that distinguish the different rates of flatness. Each category has its own sets of benefits so it depends on your usage as to which is most suitable for you. Clip on ones are the most common ones which are also very cheap. A guitar tuner compares the pitch of the strings with an already stored note to show if it is high or low. This way the guitarists can tune the strings to produce excellent sound. There is a complex technical processing unit that helps you tune the strings. For example, a clip-on tuner has a vibration sensor and a microphone that detect the vibrations from the strings. This type of tuner is clipped on the headstock to receive the vibrations. They also cut out any noise from the background which allows them to produce very accurate results. Pros who have played guitars for years can tune without needing a tuner. However, this is difficult and time-consuming so not many can or want to do it. Luckily enough, processors and sensors have made it possible to do it quickly and easily. Depending on the category, the way the tuning is done and how accurate it is may vary. Also, polyphonic tuners allow you to check the pitch of all the strings in the same strum. This is obviously very advanced and makes tuning even quicker. Choosing the right tuner will ensure that your guitar is perfectly tuned to your liking. It is never really formally taught when you learn to play guitar which makes buying the appropriate tuner a tad bit difficult. However, this is no rocket science and you just have to know what different kinds are available and what some terms mean. Study the different types and choose which one is most appropriate for you. If you have a lot of pedals, you could go for a pedal tuner and include it in your daisy chain. 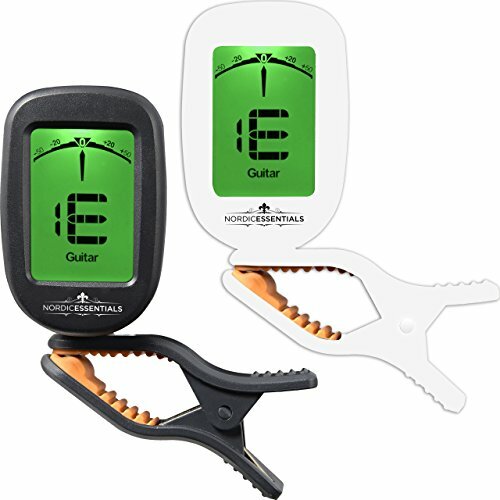 If you move a lot and are looking for a convenient tuner, the clip-on is a solid option. Once you have decided the type look for the good ones that are within your range. You should also pay attention to accuracy and display. The lower unit of cents of the accuracy measure means the tuner is highly accurate. The display should ideally be large enough to be legible and brightness should be appropriate enough corresponding to the lighting of the room you are in. These things can easily go unnoticed but will make tuning a lot simpler. Whichever is the highly accurate and long-lasting is the one you should go for. Even though you can find a very cheap tuner online easily, it is recommended to invest in a quality one. This is because the tuner is used quite frequently and may have a great impact on your sound. For this reason, it holds, even more, the importance for beginners. One of the main advantages of a tuner is that it is fairly simple to familiarize. 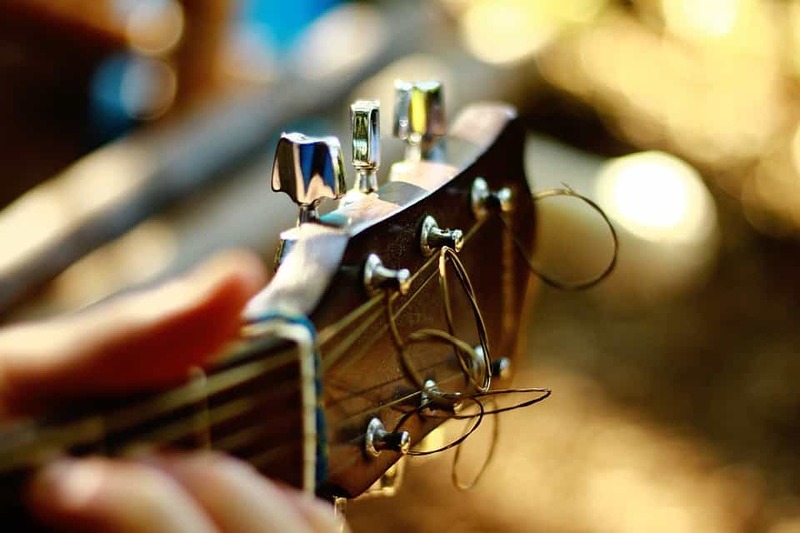 If you do it right, your guitar will be tuned to perfection in no time. Unless you are using a polyphonic tuner, the good thing to do is to mute the strings you are not tuning by your fingers. Multiple strings vibrating will not work well for even a good quality tuner. 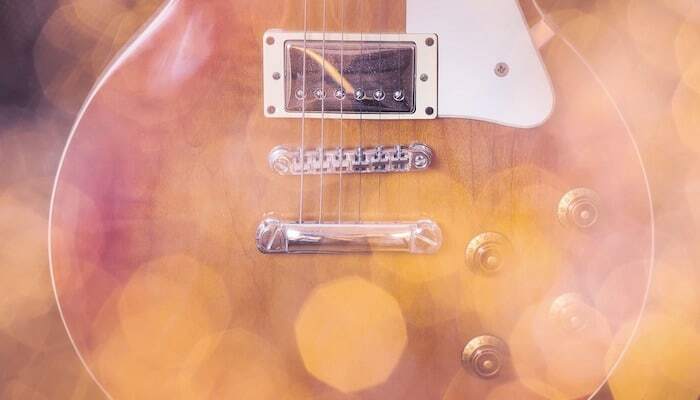 With electric guitars that are unplugged, it is difficult for the sensors to pick up the vibrations. 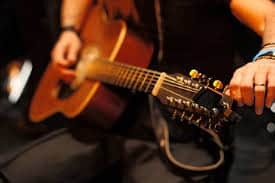 You should connect the electric instrument with the tuner with a ¼ inch guitar cable. Play a note and let it ring until it is successfully registered on the tuner. Reading the tuner display is very simple too as the notes are fixed at some frequencies. For example, the E note is about 329.6 HZ. The tuner will capture the string’s pitch and compare it with these fixed notes. The display has a series of LEDs to tell you if the pitch was low or high. The center light represents the tune and your note will be either slightly or very far from the center based on its flatness. Some of them only have a single light to show the flatness. The working of the tuner also depends on the category you are using. The clip-on is clipped to the headstock and you can read the display from there. The pedal, of course, is either connected to a pedal power supply or part of the daisy chain. Virtual tuners like apps are even easier to operate as you just have to have them near the guitar.